In addition to Bathroom Aides like Raised Toilet Seats, Shower Chairs and Commodes, there are many helpful products that sometimes get overlooked. These products include items to help a person take a bath and take care of their hair and nails. 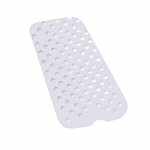 Long handled Scrub Sponges and Dr. Josephs Footbrush make taking a bath or shower a lot easier. 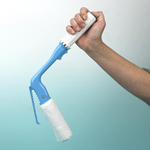 Then after bathing, the Long Handled Comb and Long Handled Brush are great helps to persons who have difficulty raising their arms due to arthritis. Nail care is easy using the Nail Clipper with Light and Magnifier or the Toenail Scissors with long handle. For persons who have difficulty cleaning themselves after using the bathroom, the Selfwipe or the Bottom Buddy is indispensable. If a traditional bath or shower is not an option for a person, we have a complete line of No Rinse products to aid the caregiver in giving the person a complete bath in bed. 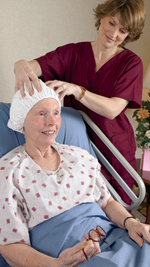 The No Rinse Shower Cap makes washing hair an easy task. All of our products have been selected for their quality and ease of use. Life Solutions Plus is committed to providing the best products available for independent living at the lowest possible price. We are also committed to excellent customer service and are always available to answer any questions that you might have about our products. 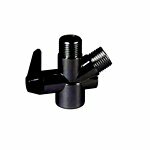 When you want the best bathroom aids at the best prices, Life Solutions Plus is here for you. Shop our selection below!